Three fantastically funny Penny Dreadful adventures in one fab book! 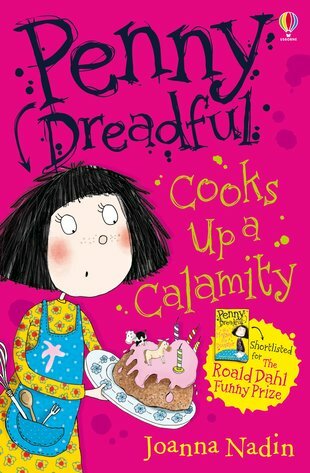 Shortlisted for the Roald Dahl Funny Prize 2011 My name is not actually Penny Dreadful. It is Penelope Jones. The ‘Dreadful’ bit is my dad’s JOKE. But I do not mean to be dreadful… sawing Bridget Grimes in half for the school show was supposed to be a GOOD THING. And I didn’t mean to get up to any SHENANIGANS on the school trip. Plus I worked extra-especially hard on the CAKE OF DREAMS for Mum’s birthday… but somehow it still turned into a HUGE calamity.